Day by day, the number of retiring people increases across the globe. It is quite impossible for almost all the retired people to get acquire another job after your retirement even if you are medically fit. It is not uncommon that jobless situation making you depressed. At those times, you must remember that it is your life and you have to find the resources to keep yourself busy and start enjoying your retired life. Here are some ways to enjoy your retired life. 1. 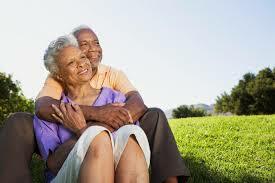 Start Helping Your Life Partner: After your retirement, you can start helping your spouse at first hand. You can help him/her in some of the day to day activities. I am sure that this will make your partner happy. 2. Own a Pet: This is a simpler way to keep you engaged by spending time in taking care of your pet. Taking your pet for walking, will naturally improve the pet’s health. Yes, it is also good for improving your health at the age of retirement. The new pet will be your companion and will help eliminating all your stress factors. 3. Try Visiting Places: You have been carrying out the same routine all your work life. You have been working hard all your life in order to earn your living. Now, comes the time for you to travel to different places and see things you wanted to see all your life. You can even travel for an international trip and spend good time. 4. Start Teaching: If you were from academic background, you can plan starting the coaching classes for the new generation kids. You can plan this activity at least for 2 hours per day. This will help you in sharing the knowledge and you are doing a good deed! 5. Practice Reading: You might not have had time for reading in these years and it is the time to start reading books. It can be any kind of books of your interest and try to keep yourself engaged at least 4 hours in a day. In addition to the time pass, you will also gain knowledge by doing this. 6. Try Writing: In your middle age, you might have had thoughts to write your book on anything and might not have had enough time to spend on writing. This is the perfect time for you to write and publish your books. You will get a sense of good feeling when you see your own creation. 7. Meet Your Old Friends: You were busy all these time and you would have lost contact with many of your childhood friends. Try to catch their phone or address, and arrange a meeting with them. This will take you back to the school and college days and you will really enjoy this. 8. Painting: This may sound weird to most of you. But, painting out your imagination will turn to be your creative hobby and will give a lot of pleasure to your mind. You can even try sketching, which will also give the same feeling to you. 9. Gardening: This is one of the most amazing activities one could try out. This is because; the greens around you will give you a good health as well as the peace of mind. And, the time you are going to spend on maintaining your plants and trees will really be productive. 10. Turn Social: This is the time for you to attend all your family functions and spend time with your relatives and cousins. They would have missed you around all these years and tell them that you are back.